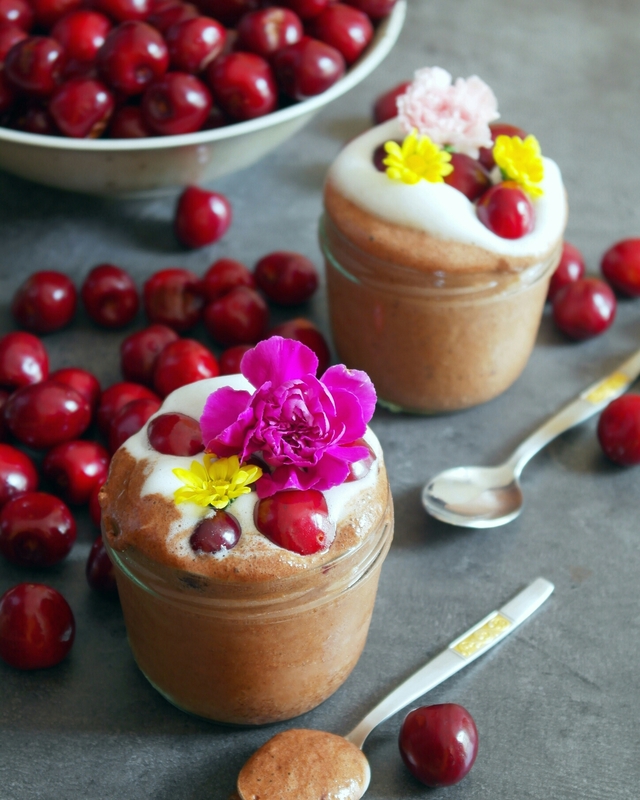 Aquafaba Chocolate Mousse - simply & healthy vegan recipes that taste amazing! 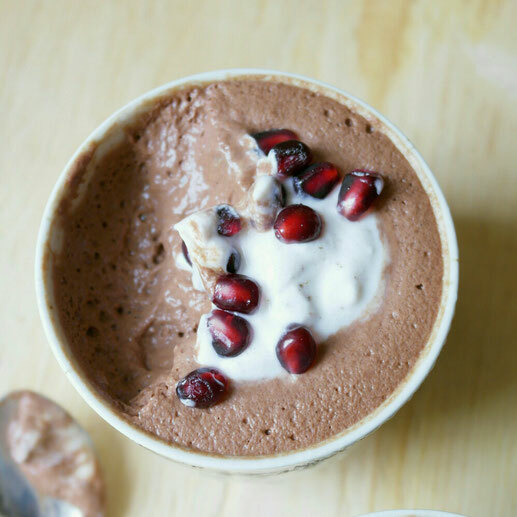 This is a very delicious vegan, refined sugarfree and glutenfree aquafaba chocolate mousse recipe with raw chocolate. Give it a try and let me know what you think. I am happy for all your feedback in the comments below. 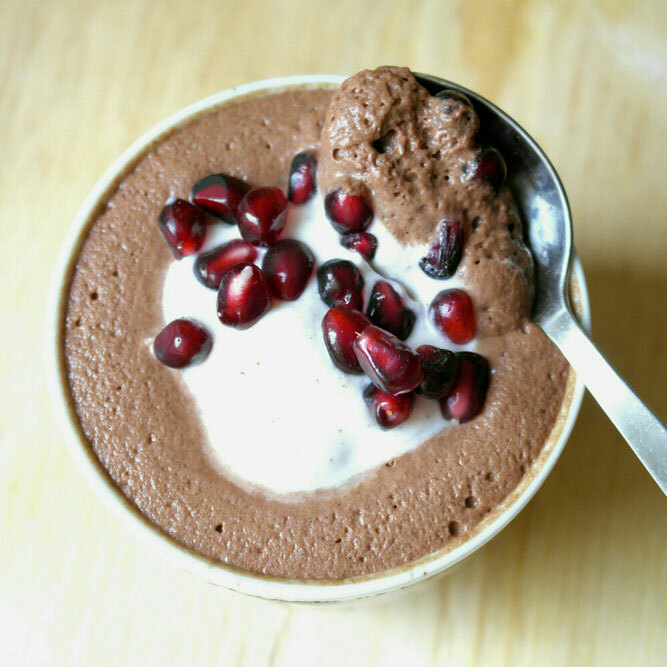 I have topped my chocolate mousse with coconut cream and pomegranate, but you can use what ever you like! Bon appetit! Melt the chocolate in a bowl placed over a pan with simmering or hot water. Use a electric whisk and mix the liquid of the chickpeas until fluffy and creamy. Carefully fold in the chocolate and slighty stir it. Pour into cups and place in the fridge for about 30 min. Enjoy with coconut cream! (coconut cream, 1 tsp Agave, 1/2 tbp vanilla extract). 1 Dose Kichererbsen (du brauchst nur das Einweichwasser von den Kichererbsen. Schokolade in einem Wasserbad schmelzen lassen. Vanille und Ahorn Sirup hinzufügen. Mit einem elektrischen Handmixer die Flüssigkeit von den Kichererbsen mixen bis es eine feste, weiße und luftige Konsistenz hat. Vorsichtig die Schokolade mit einem Teigschaber in die Aquafaba-Schnee unterheben. In Gläser verteilen (2-3 stück) und im Kühlschrank stellen. Nach 30 bis 60 Minuten raus holen und mit Kokoscreme (Kokoscreme, 1 TL Agaven Dicksaft und 1/2 TL Vanille) genießen. Gerne auch mit Granatapfel oder Beeren toppen.